Cameron is using the very tactics that Putin uses to suppress and fool his own people.The old Nazi maxim that if you tell a lie long enough it becomes the truth in the eyes of the sheeple.Clearly,it’s working with the “I’m alright Jacks” in our broken society….Thatcher did much to destroy a society that made Great Britain a fair place to live in and Cameron and his band of thugs are just carrying on the project. These people are not only dangerous but subversive and I would go as far as to say the Conservative Party ,which by virtue of its membership is a minority political party should be treated as a party of terrorists and dealt with accordingly. I look forward to seeing the day when Mike and and other bloggers are writing about the up turn and how well people are doing and able to help others. It is sickening to read and hear about how as a society we are rapidly turning in to a disconnected and disenfranchised herd without hope. It’s sickening to think that things have got to this stage now. We are living in a country that has slipped back a hundred years in the way it treats it’s most defenceless members of society and those in power seem hell bent on turning it back another hundred again if they can. We need a shake up and fast, time ia running out for a lot of people and it isn’t till your circumstances change that you find you aren’t too far away from the brink your self. Unfortunately most people still want to believe that every thing is ok and that they will be taken care of by the government if something happens to them. Until enough people open their eyes to see what is going on many more are going to be having a nasty wake up call when they find themselves on the mercy of this government. ThevTrussel trust gave out more food because they switchedbto a franchise model meaning more branches opened. There has not been much of an increase in the parcels per outlet, but the number had grown. This indicates that the usage is the same as it was under Labour and for all the years that the service has been running. I looked at the figures per outlet and they have remained pretty constant for about 10 years. The point is that more food banks were needed because the impact of Tory and Tory Democrat policies meant more people were going hungry. The business model used by the Trussell Trust to provide the service is irrelevant. As for usage being the same as under Labour, perhaps you are unaware that food banks in the UK started as a way of helping asylum-seekers who came to this country with nothing; it is only since greedy millionaire bankers caused the economic collapse and our Tory-led government stifled Labour’s recovery that they had to start helping people who were already British citizens. (That’s a gross generalisation – there will have been some exceptions – but the broad strokes are accurate). The food banks have just expanded into new areas. If you work on the basis that a certain percentage would use a food bank, then that applies across the country. A person living in Birmingham would not go to a food bank in Cardiff so food banks in new areas do not imply an increase in demand. The numbers per food bank stay constant. So nothing has changed and things have not become worse. It is just the usual left wing misuse of statistics. What do other readers think of this rubbish? My response is that more food banks are opening because more people need them; they are conforming to the law of supply and demand – and you Tories should know about that as it’s how any business makes its money. The difference in this case is that the Trussell Trust is a charity trying to cope with the exponential increase in poverty caused by Tory political policies. You cannot work on the basis that a certain percentage of people would use a food bank because that is not how they work. People have to be referred to food banks by experts – that means they have to be in food poverty before they can expect to use them. Food banks would not open where there was no need for them, so the fact that more are opening shows that the need is growing – not that people would have used them if they were there before. Hayfords……..Absolute twaddle. Yesterday there was a Tory minister/talking head on Channel Four news, who didn’t even stoop to the level of your arguments. He managed a step lower , if possible, because his view was that the previous Labour Government tried to HIDE the existence of food banks, but the Tories have made them (and I quote) “more accessible, and more popular”. Even your Tory agenda excuses are stuck in the Lord Fraud era, and haven’t kept up with the new official line of denial. Do you think the entire CoE establishment is lying about the mass hunger and need for food banks? That the BMA is lying by saying one million people are now suffering from malnutrition and it’s a public health emergency? That the CAB is lying about absolute poverty and destitution? Do you consider these all to be entryist hard-left organisations propagandising? Do you think anyone buys your guff? Hayfords, have you ever been on a low, low income, or no income? Ever been hungry, and I mean in a four days without food, rather than two-hours-since-tiffin sort of nibbles hunger? You fail to make any sensible contribution to this debate, but I guess that’s not your point. I sense a good old fashioned Central Office troll. What your post does tell me is that the blogs here are far more influential than the numbers reading it would suppose, and that the bad press has really got you worried, so you’re straying off-piste from the usual Guardian, Telegraph, Mail, online boards. Mike, keep up the good work, it seems you’ve been heard. It seems they’re running scared now. That Tory minister was the one mentioned in the article – David Gauke. I fear you may be right about our new friend having a possible connection to Tory central office. He’ll deny it, of course, so we’ll never know for sure. The arguments are so flimsy that it doesn’t make much of a difference. As for the blogs becoming more influential, you may have another good point there. The economist Danny Blanchflower tweeted this morning that he agreed with my assessment of the drop in inflation and claimed rise in wages/employment, and will be publishing an article about the subject himself. Now that I’ve mentioned him, let’s see if Hayfords submits a character assassination. People were not left penniless for weeks and months under labour, children were not going to school hungry. I live in a rural area which had never had the need of a food bank, now we have 2, because they are needed. Please get off your backside and go and meet the people who are left, by this government with nothing. These people aren’t skivers and shirkers, they are the sick disabled and unemployed, who have worked for years, paid their taxes and NI, and now need help. None of us know when it will be our turn to need help. 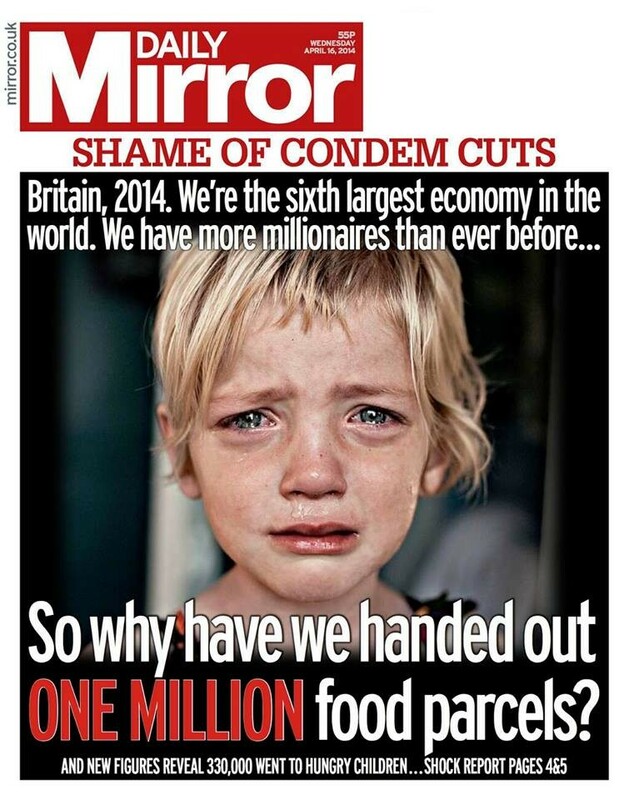 MIke’s piece comments on the report in yesterday’s Mirror on the glaring iniquity of Britain as one of the world’s wealthiest nations with a rising population of millionaires while a million people are forced to rely on food banks simply to stave off starvation. He points out that this is exactly what constitutes a ‘Third World’ country: a state with a low level of economic development with massive poverty and an extremely wealthy ruling elite. All of this is absolutely true. There’s also an excellent quote from comedian Eddie Izzard on how the Tories have done all this and destroyed the welfare state. Britain is now the Tories and Tory Democrats ‘banana republic’. (Matthew 19:21) Jesus said to him: “If you want to be perfect, go sell your belongings and give to the poor, and you will have treasure in heaven. (Mark 10:21, 22) .Jesus looked at him and said, “Go, sell what things you have and give to the poor, and you will have treasure in heaven; and come be my follower.”  But he grew sad at the answer and went away grieved, for he had many possessions. WHAT CHRISTIAN FORCES PEOPLE TO WORK FOR NOTHING? (Jeremiah 22:13) Woe to the one who makes his fellow man serve him for nothing. . .
(Leviticus 19:13) You must not defraud your fellow man, and you must not rob. You should not withhold the wages of a hired worker. WHY IS THIS MORON PURPORTING TO BE A CHRISTIAN? when he doesn’t even know the meaning of the word, Christian means ‘Christ like’ just how Christ like is Cameron??? Did Jesus go on expensive holidays when the poor had nothing to eat? (Matthew 14:19-21) Then he took the five loaves and two fish, and looking up to heaven, he said a blessing, and after breaking the loaves, he gave them to the disciples, and the disciples gave them to the crowds. So they all ate and those eating were about 5,000 men, as well as women and young children. I am beyond incensed that this Moron could ever call himself a Christian! (John 8:44) You are from your father the Devil, and you wish to do the desires of your father. That one was a murderer when he began, and he did not stand fast in the truth, because truth is not in him. When he speaks the lie, he speaks according to his own disposition. What have Christians to do with anything in our society. They are just believers in an extra terrestrial being. Why not ask the opinion of people who believe in fairies or Santa. Ladies and gentlemen, the true right-wing creed shows itself. If you had bothered to read the comment, you would know that Christians try to be like Christ – meaning they would try to help people who fell into poverty, sickness or other hard times; those were more disadvantaged than themselves. That’s what Christians have to do with our society. People who follow that belief try to help others and create a community that supports all its members – not just the exploiters, as your belief demands. Please take your bigotry elsewhere. @Hayfords. Whether you or I believe in Christ is irrelevant to the comment you deride. The point is that if Cameron is a Christian, as he claims, he should practice Christian values. He does the opposite, therefore he is not only a hypocrite but a liar. What is happening to this once proud nation that seems now not to care at all about our fellow human beings? Is it that the our tory task masters in the unelected assembly at the dysphonia inflicted Westminster palace of broken promises, deception, greed and purveyors of abject misery have lost all sense of the reality that is day to day living in today’s society ? Or is it because they as the self-proclaimed born to rule class are so self-centred that like an illness money and power have become so intoxicating it has damaged any semblance of humanitarian goodness? They seem to have corrupted a once proud to civil service, most likely by fearfulness of losing their own employment. They have further corrupted the right wing press, if that could be at all possible, who have now become their puppet propaganda machinery of choice. But more importantly they have corrupted the ordinary citizens of our once proud nation by indoctrination into the evils of eugenics and social engineering. This is the path that will ultimately lead the way to a society so bereft of feelings towards any one of numerous so called undeserving including sick, disable, unemployed, poor and very, very soon the elderly. The resulting rotten core that these self-serving maggots have infested will continue to eat away at our society as surely as night follows day until the day dawns and results in enlightenment of all ordinary men and women of our proud nation. When this happens the result will not be to put citizen against citizen, father against son, fellow brother against brother but a reconciliation that will put the blame squally where it belongs, upon the wretched twisted shoulders of the corrupters not the corrupted. This has happened time and time again thought-out our nations proud history, but this time I do believe that the day of the morally corrupt politicians are numbered. As is the elitist inbred part of society who have a belief in only themselves as the see others as lacking and undeserving of what they have and would rather die than to give up. You can only pity the poor creatures as they become terrified for their own existence and realise that belonging to an endangered species can’t be much fun when money can’t buy your future anymore, as their cohort turn upon each other In the last great feeding frenzy before becoming extinct. Afraid for all of our futures, but hopeful because of the proud past all of the common people. Trouble is that counter reporting has come in again. The FT has articles today about the shrinking life expectancy gap between rich and poor, as well as articles about rising average earnings and falling unemployment. There is little substance to the articles though, the unemployment one has no mention of how workfare, zero hours and forced self-employment affect the figures. The same happens when justifying cuts to public services, all that gets thrown in are the results of a mystery survey saying that services are getting better. Journalism should be investagative by default, not just quotes from unamed, possibly non-existant sources. Is it any wonder why some would rather read about the X-Factor on newspaper front pages. You mean they try to be like a semi fictitious character that people choose to believe behaved in a way that suits them. No. I mean they try to live up to a set of ethics and ideals that has been refined over a period of nearly 2,000 years. And I’ve told you before: Stop trying to tell me what I mean! Has anybody ever tasted pigeon pie? You are still misusing the stastics of food banks to suit your politics. New Tesco stores opening across the country does not indicate an increase demand for food. New branches of B&Q do not imply an overall increase in interest in DIY, but the same demand in a new area. Food banks open across the country due to the same percentage demand in a new area. Hogwash. Supermarket chains open new stores because they see an opportunity to increase their profits – either because an area has a growing population that requires the service or because executives think they can provide a better or cheaper service than is currently available. Those are commercial choices. You are trying to conflate commercial decisions with those made by a charity. The two do not mix. Hogwash, sorry, Hayfords, YOU are missing the point! You’re totally transparent in your attempt to try & hijack this discussion into another realm – one where the substance of the piece – mass hunger – is diverted away onto your agenda. You know, the one where the people turn up for free food because there’s a local food bank opened? That there isn’t hunger, because people just don’t budget properly, the fags & booze, the fat poor, the something for nothing. The old chestnuts coming out. Boring. And also very, very wrong on all levels – economics, charity, morals, poverty, hunger and facts. Attacking MS for his figures is another old chestnut – trying to smear the author because you have no real contribution to make in the face of overwhelming evidence. That’s also easily spotted, and also morally repugnant. You do know that the Trussell Trust is a charity and food bank parcels are given away for free, don’t you? I suppose you know that the picture of the child in the Daily [Mirror] above is actually a US private album picture pinched from Flicker and the child is crying over an earthworm. I edited out the rest of your comment, which was clearly pinched from the same place. It’s good to see that you aren’t challenging the facts presented by the article. As for the picture: You don’t know the circumstances in which the Mirror editorial team arranged to use it. You must be scraping the bottom of the barrel if you’re trying to undermine this article by attacking the use of a photograph in the same publication. Just to explain the statistics again. If you had a food bank in say Glasgow which was used by say 500 people and then at a later date opened another one in Southampton which was used by a different 500 people in a year you couldn’t at that the need for food banks was increasing as the need was already there but not satisfied until the two banks were opened. The situation is exactly the same if you open another 100 in varied areas. There is still the same demand even though you are serving more people. There is another for the increase in the opening of food banks. Under the previous Labour government Benefits offices were forbidden to refer people to food banks with documentation. The current coalition removed that prohibition and benefits offices are one of the main referrers of people to food banks. The presumption is that Labour were embarrassed to admit the need for food banks. Isn’t always the way that Labour hide unpleasant truths. The point you’re missing is that there has to be the demand for food banks, otherwise there would be no reason to open them. Demand for food banks is created by the impoverishment of the population. Only people who have no other recourse are allowed to take parcels from food banks – you are aware of that, I hope? You seem oblivious to the fact that there were no food banks before the turn of the century because there was no NEED for them, and seem determined to force your belief that a charity could open a food bank anywhere, at any time in history, and there would have been enough users to keep it going. That’s not true. The rise of food banks is directly caused by Conservative Party policies, aided and abetted by their Tory Democrat enablers. As for Labour forbidding benefit offices from referring people to food banks, are you sure it isn’t simply the case that there was no regulation to say that officers COULD refer them? There’s a world of difference in that. If you can find me the DWP rule that said it was forbidden for officers to refer people to food banks, I’ll withdraw that objection. Otherwise, all the Tories have done is add a line saying that, where it seems necessary, benefits advisors may refer claimants to food banks. There’s a lot of difference between removing a prohibition and adding a possibility. Of course, in Labour’s day, food banks were supposed to help people from abroad who had sought asylum in the UK and had no other means of support; it’s only under the Conservatives and Tory Democrats that people in this country have been included and their use has mushroomed. Go and find me that old rule, prohibiting benefits officers from referring people to food banks. Almost nothing that Hayfords says makes any sense! Nearly all of the increase is due to the increase in the number of sanctions and their length, and the stopping of disabled benefits for months. Just ask any CAB, council or housing association. Actually it’s the Selfservatives that have forbidden JCP staff to ‘refer’ people to foodbanks. Here’s the hilarious proof. I’m not sure that’s what the article is saying. I’m reading that the Tories changed the rules to “allow” referrals to happen. Again, we’re back to the difference between removing a prohibition and instead making a new rule to allow a particular action. Perhaps I take pleasure in demonstrating to certain people the error of their ways? The lesson does not appear to have taken hold in this case. Hayfords has sent in another comment but I have trashed it because it added nothing to his previous argument, which has been refuted. I notice also that he has not been able to bring me any reference to a Labour rule prohibiting DWP advisors from referring benefit claimants to a food bank. I agree that there is demand for food banks. I am saying that increased numbers of food banks and consequently serving more people does not constitute increased demand. The demand is the same. It is the servicing of that demand that has increased. The days when food banks were for asylum seekers are long behind us. The biggest increased in food banks was when the Trussel Trust started to franchise out the running of new banks to church group and others. Demand for food banks has risen exponentially since the Conservatives and Liberal Democrats came to office. That is what the figures show – obviously. There were fewer food banks in the past because there was less demand for them. In the North East, the demand (on existing foodbanks) rose by 463% in the last year. No, that’s not a misprint, its really 463%. If that’s not an increased demand, I dont know what is ! Hayfords, what planet are you on? Are you not getting it into that thick skull of yours that there are more foodbanks and more people using them! We should not have to have food banks in the year 2014 – are you not ashamed that we do have them and that more and more people are being left hungry if they cannot get a ticket to get 3 DAY’S worth of food? I am horrified that so many are starving, but the way that the prices of food and essentials are going up, the way that bills are going up, the way that rents are going up, I could soon need to use a foodbank! The CAB, the doctors, the local clinics, the police and the DWP are handing out thousands and thousands more foodband vouchers – charities and councils KNOW that the need for foodbanks has grown – so how the heck can you say that it’s the same amount of people who used them before? The demand is higher as there are people on sanctions, benefits that are not enough to pay the bills as well as food, those who are waiting to hear if they are getting a benefit or not, I could go on and on. 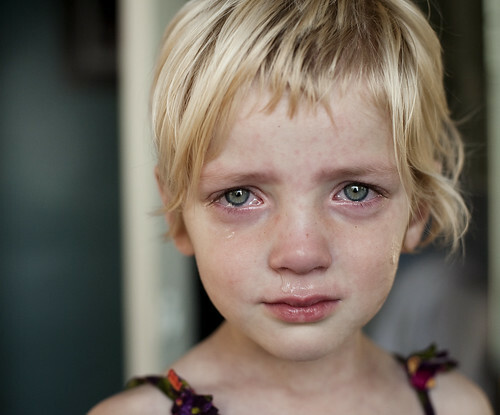 There should not be so many thousands needing help from foodbanks just to get them 3 days supply of food 3 times a year! You Hayford are an utter fool, probably a tory troll and a very bored one as well, so you come onto blogs like this and think you can play about. Don’t forget, IP addresses really do come in useful for idiots like yourself! hayfords I made it ABUNDANTLY CLEAR: I WAS NOT trying to convert anyone, I WAS just exposing Cameron for the hypocrite he is: BY USING THE BIBLE AGAINST HIM i.e if you want to be a TRUE Christian you have to abide by the above quoted scriptures. (Matthew 7:12) All things, therefore, that you want men to do to you, you also must do to them.